Look at that, we managed to let a few days pass without taking a single photo. Extremely odd considering our beyond photogenic surroundings, though there’s often much better things to do than slow down and fit life into a frame. There’s been sunset dinghy fishing, where I can proudly report I am the only one to record a bite. This, along with other rod fishing failures, is building a strong claim against Gregory’s fishing prowess. Though I can’t mention that to him because he’s already awfully sore about it. Therefore, I take his latest ventures on land as exactly what they are – compensation for his lack of recent fishing triumphs. On a recent coconut gathering expedition, Gregory returned bright-eyed and bushy-tailed spinning yarns about giant coconut crabs. 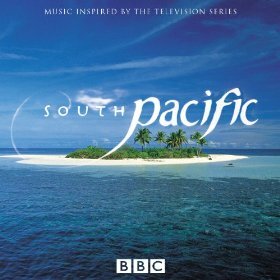 An obvious result of us recently learning about them in BBC’s miniseries South Pacific. No he never spotted one of the elusive robber crabs, which can grow up to 4 kg and 1 meter across, but he insists he found evidence of their presence. Robber crabs are one of the only animals in the world able to break into the coconut, convenient as it’s their favourite food and where they get their preferred nickname – coconut crabs. They rip off the husk with powerful pincers, while other legs drill through the germinating holes in the seed until it finally cracks. This process can take them hours, but that’s menial compared to the 3 miles they are willing to haul one for a tasty feast. Long story short, Gregory found many husked and empty coconuts lying about what he has concluded can only be Coconut Crab dens. A theory with mighty weak legs. Obviously there are no other intellectual conclusions for the presence of these coconuts (locals, rats, wild cats, ants…) and the fact that no local has mentioned their existence is completely beside the point. So Gregory is currently obsessed with locating, capturing, and proudly displaying one of these giant creatures that may (or may not) be here. Stand by. The BBC series we’ve been watching. Totally worth time. Such a great look in on this area, regardless if it instills unfounded theories.